Have you ever attended a business conference or large-scale business presentation that was, well, dull and boring? Despite the best intentions and endeavours of the organisers, great sounding topics and inspiring speakers, it’s all too easy for an audience to lose interest, especially towards the latter stages of the day. So, how can you keep the audience’s attention, or get it back? In a word: interaction. Creating an interactive environment where speaker and audience engage with each other is possibly the best way to bring everyone back into the room, so to speak, and get the most out of the event. Here are 5 ways to do just that. Frankly, there’s only so much listening anyone can do at any one time before your attention drifts off – we’re all human. 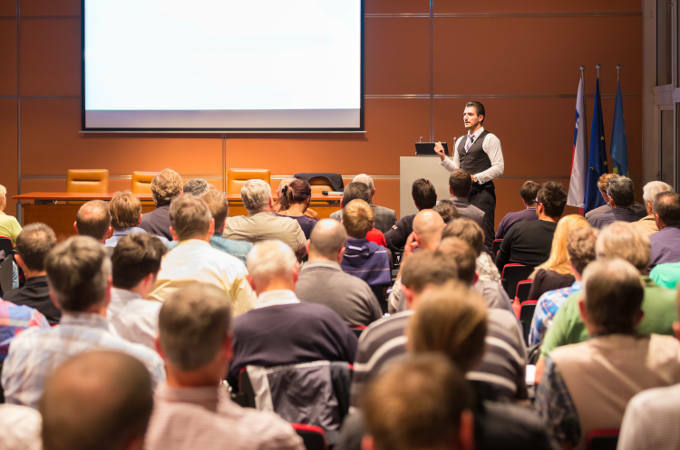 The trick is keep formal sessions including lectures, presentations and keynote speeches short (ideally no more than 30 minutes), while offering a broad mix of learning formats through the day. These could include smaller seminars, hands-on workshops, feedback sessions and similar forums. Getting everyone involved in participating in, rather than simply observing, topics being discussed will create valuable opportunities for experiences to be shared, knowledge to be exchanged and learning to be enhanced. Breathe new life into your conference by hiring an MC or professional moderator whose role it is to oversee the event, take charge of supervising proceedings and ensure everything runs like clockwork. In addition to introducing speakers to the stage, a good conference moderator will be skilled at facilitating discussions between the speaker and members of the audience and boosting natural levels of interaction. A moderator will also add his/her own input to inspire discussion and debate, adding value. One sure-fire way to get everyone to sit up and take notice is by using an audience response system. These wireless keypads will give every audience member the ability to answer questions in confidence, including simple yes/no replies, multiple choice questions and voting for preferred outcomes. In addition to creating a strong rapport with the audience, these ‘ask the audience’ type handsets can be used to gauge reactions and obtain instant feedback which can inform the direction of the debate and make the audience feel like they are part of the presentation. A presentation or lecture shouldn’t be a one-way conversation; instead it should stimulate the mind and inspire learning. Whether throughout or at the end of the session, it’s important to offer the audience a chance to ask questions, both for the purposes of clarification and to explore the subject further. A dedicated Q&A session (10 minutes is typical) built into the presentation provides that opportunity. It also gives a clear sign that the speaker actively encourages people to air their views and share ideas with other conference attendees. One of the main reasons for attending a business conference is the chance to network with others working in the same industry. This is an important point that is often underestimated by event organisers but if people are given the opportunity to connect with each other, it will lead to a much more memorable experience for all concerned. 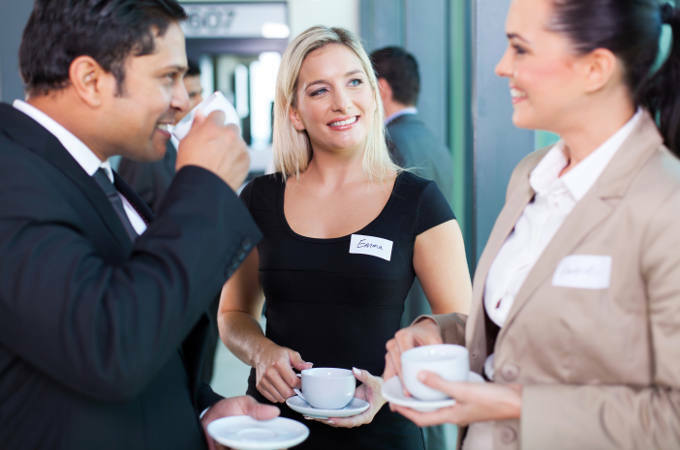 Allow plenty of breakout time between sessions to encourage personal interaction over refreshments, ensure that lunchtime catering spaces are configured for maximum communal benefit, and choose conference venues with outside space and leisure facilities.